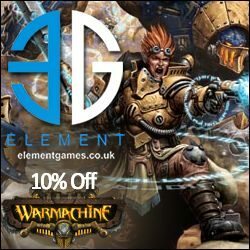 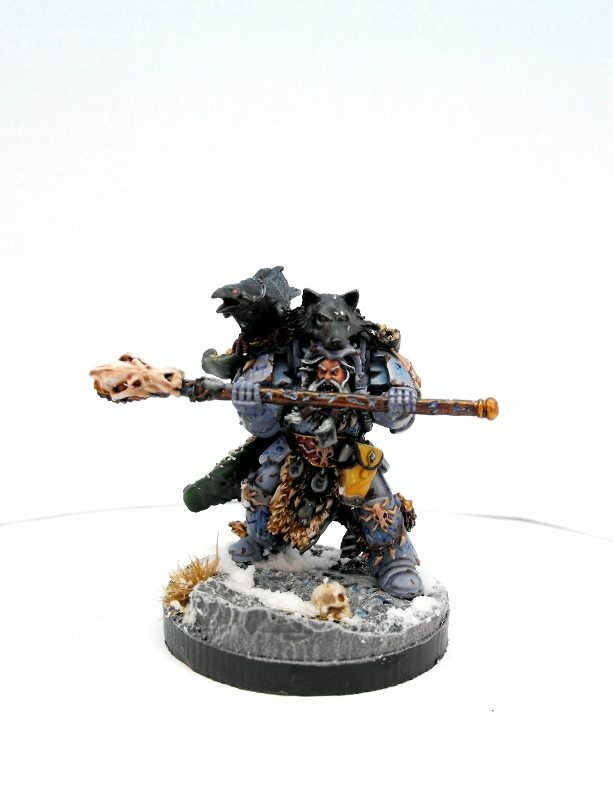 Here is my latest finished work Njal Stormcaller for my Space Wolves army. 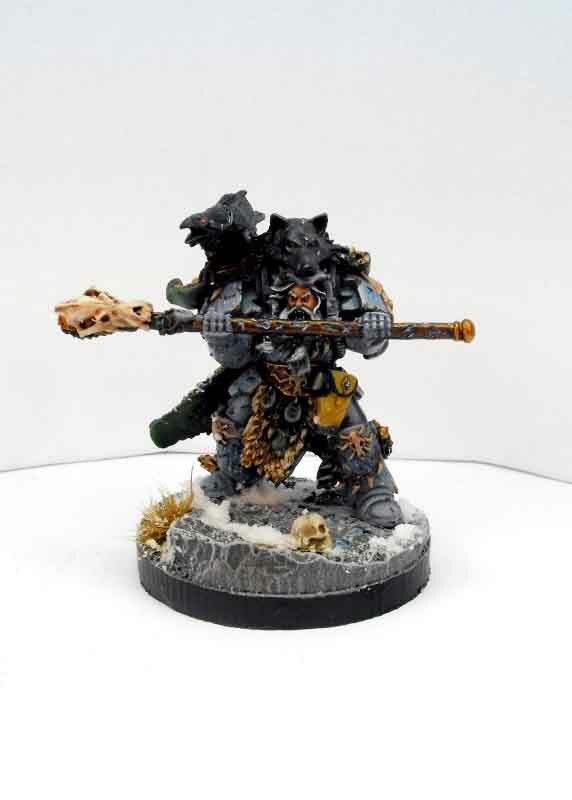 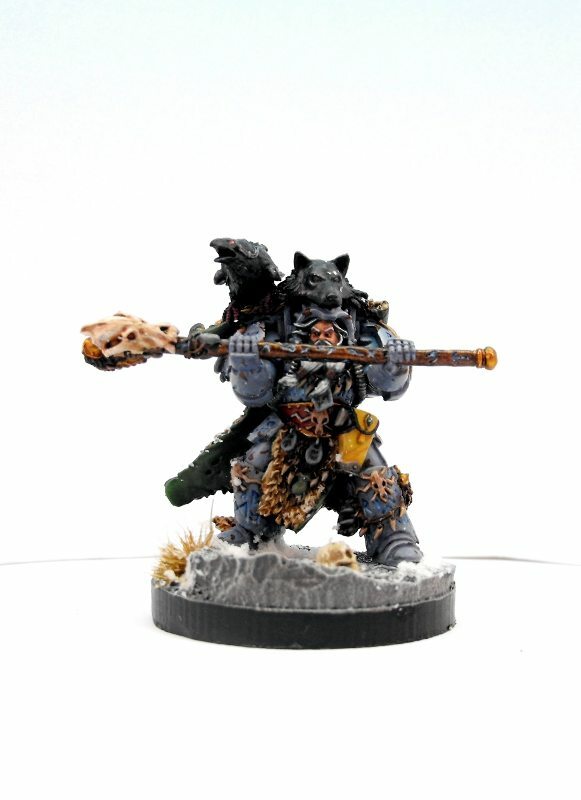 He was painted in standard Space Wolves colours from the Eavy’ Metal Masterclass book and based on a Secret Weapon base from their Runic Mountain range. 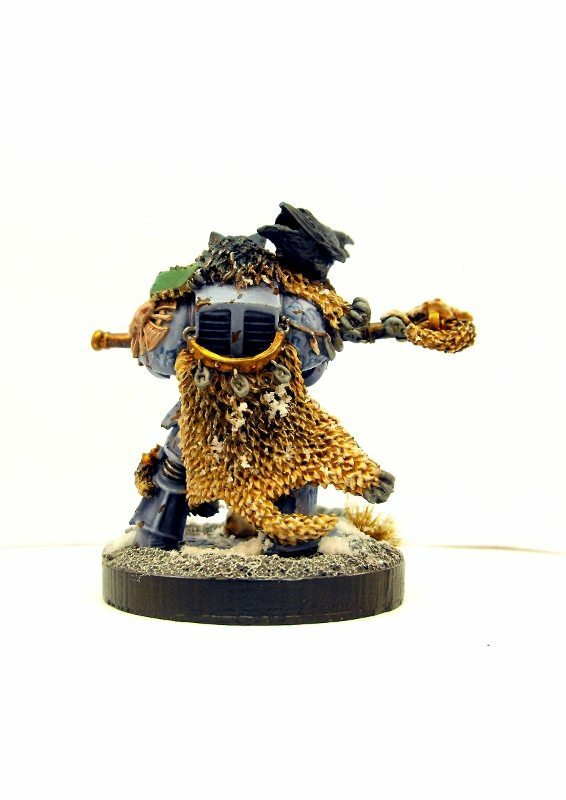 Hopefully I will get some better photos soon.